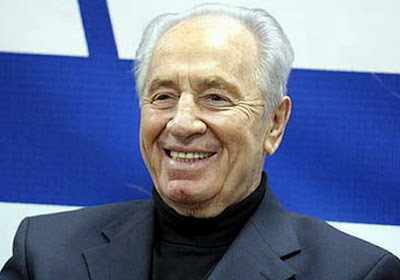 JERUSALEM, Israel -- President Shimon Peres is due to leave on a state visit to Ukraine this week at the invitation of the country’s President Viktor Yanukovych. The two met last September in New York at the UN General Assembly. They discussed the projected visit, and Peres told his Ukrainian counterpart that Israel would like to open a new chapter in its relations with Ukraine. Both countries are interested in improving bilateral cooperation in trade and science. One of the measures already taken to enhance bilateral ties was the mutual cancellation of entry visas, a decision approved approximately half a year ago by the governments of both countries. In his meetings in Kiev, Peres will also raise the issue of restitution of Jewish community property, the preservation of Jewish cultural heritage and the eradication of anti-Semitism. According to Josef Zisels, chairman of the General Council of the Euro-Asian Jewish Congress and chairman of the Va’ad Ukraine, the council’s data base has information on thousands of objects and Jewish community property that were confiscated by the Soviet government. In the 19 years of Ukrainian independence, says Zisels, only 60 buildings that were originally used as synagogues have been returned to the Jewish community, but not the ritual objects, including Torah scrolls, that they contained. These are being kept in government archives and museums – often in poor condition, without any possibility of Jewish experts gaining access to repair and restore them. Several old synagogues dating back several centuries have not been returned and are in a sorry state of disrepair. The Ukrainian Jewish community is fearful that because these structures are made of wood, they will eventually succumb to time and weather conditions. Zisels is hopeful that Peres will succeed where local and European representatives of the Jewish community have failed.